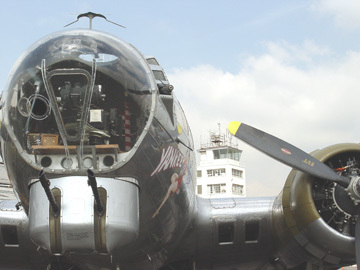 The Bombardier and Navigator occupied the front section. 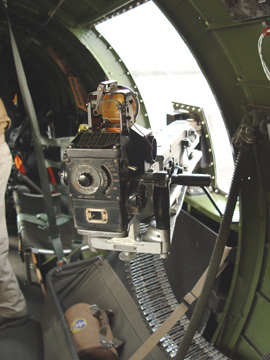 In addition to working the Norden Bomb Sight, the Bombardier also manned the electrically fired chin turret. During the bomb run, the Bombardier actually flew the plane until the bombload was released. Note the old Teterboro Tower in the background. 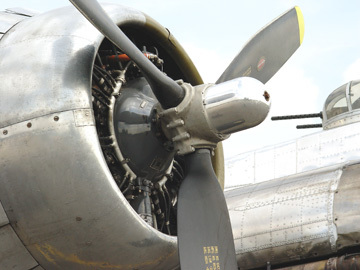 The aircraft has four Wright Cyclone R-1820-97 engines swing a Hamilton Standard propeller. Range 2,000 miles combat loaded. Maximum take-off weight of 65,500 lbs. Engine delivers about 1,200 hp. 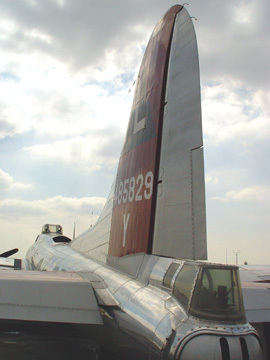 The triangle L represents the bomb group -- the 381st BG (Heavy). 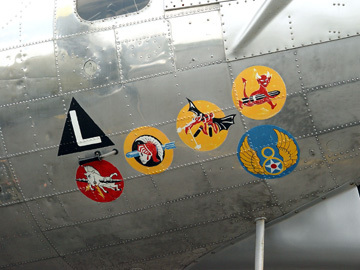 The markings rising diagonally represent the four bomb squadrons in the 381st -- the 532, 533, 534 and 535 bomb squadrons. 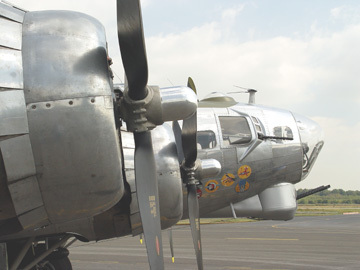 The Yankee Lady is painted to represent a 538th bomb squadron aircraft. 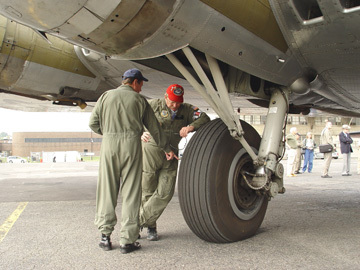 The 8 with wings logo is for the US Army 8th Force in World War II. 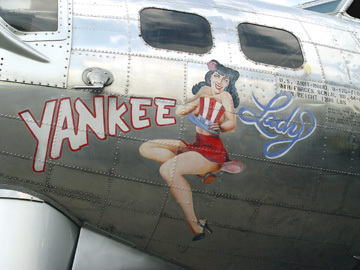 Although there was no real Yankee Lady, the nose art is typical of the kind painted during WWII. 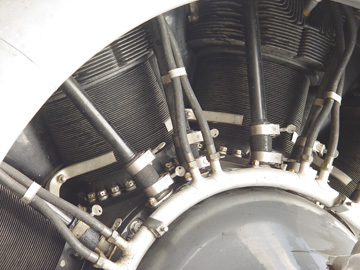 The item sticking out above the "N" is a pitot tube (pee-toe) is used to measure air speed. 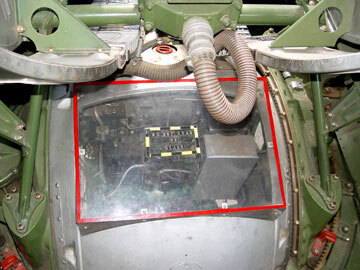 The two small windows look out from the navigator's table. 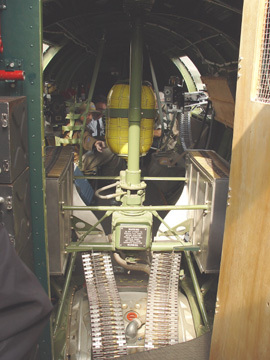 The Tail Gunner in a semi-kneeling position operated two .50 caliber machine guns facing rearward. 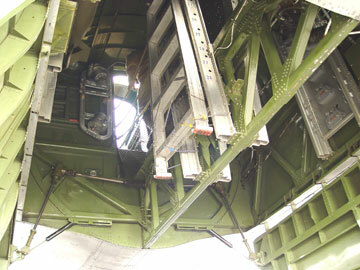 The tubes running down to the wheel are hydraulic lines for the brakes. 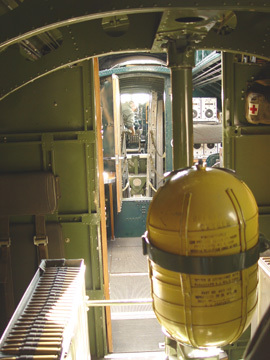 Bombs were armed during flight in their bomb racks. Bomb loads could include 100 lb. high explosive (HE), 500 lb. HE, 2,000 lb. HE or penetrating, and 4,000 lb. 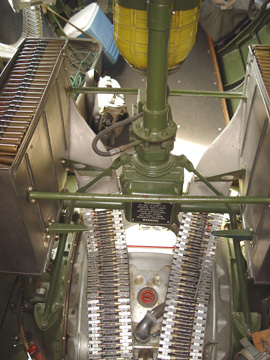 naval munitions. Incendiary and napalm loads could be carried for special missions. 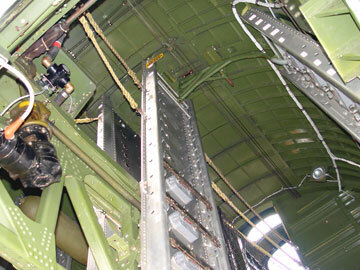 The doors are electrically operated, not hydraulic as in most bombers of the era. The ball turret was located just behind the radio room and built by Sperry. The size of the ball meant that the crewman who occupied this position was one of the smallest of the crew. 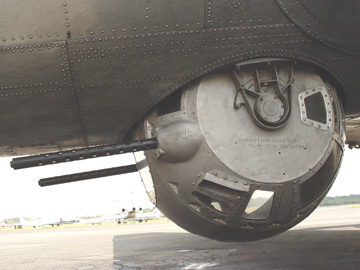 The gunner would enter the ball after take-off and would exit prior to landing. Above the ball turret looking forward towards the cockpit. The next compartment was for the radio operator who also manned a .50 caliber mounted in the top window of the rear of the flight deck. Between the radio operator and the cockpit was the bomb bay.